The ear protection products are outlined in the Personal Protective Equipment Regulations 1992. Hearing protection equipment can include ear defenders, earplugs, earmuffs or headphones. In addition, the European Physical Agents (Noise) Directive 2003/10/EC implemented in the UK IN 2006, requires that noise be eliminated wherever possible, and remaining noise levels of 80dB ear protection should be available, and at 85dB hearing protectors are compulsory. The signs indicate the need to use the appropriate hearing appliances, and their location of use. These mandatory safety signs and safe conditions safety signs are manufactured to comply with the harmonised standard EN 7010, and the Signs and Safety Regulations 1996, covering the symbol or pictogram, colour, and layout. Common applications include: at work in industry, manufacturing, construction, civil engineering, mining, oil and gas, forestry, defence, aviation: and recreational pursuits such as watersports, motorsports and music concerts. We also supply body protection signs, respiratory protection signs, head protection signs, foot protection signs, eye protection signs, and hand protection signs. Wear ear protection symbol safety sign. 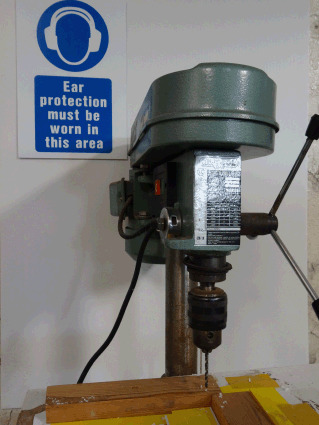 Ear protection must be worn when operating this machine symbol and text safety sign. Ear protection must be worn symbol and text safety sign. Caution noise symbol and text safety sign. Danger noise hazard, ear protection must be worn safety sign. Ear protection area, no entry without ear protection safety sign. Wear ear protection symbol label. Ear protection must be worn in this area symbol and text safety sign. Noise assessed area symbol and text safety sign. Report ear protection defects immediately symbol and text safety sign. Ear protection is available on request symbol and text safety sign. Ear protection is available from symbol and text safety sign. Caution noise hazard area symbol and text safety sign. Caution risk of high noise levels in this area symbol and text safety sign. Caution noise level between 80 and 85dB (A), ear protection available on request sign. Caution noise level of 85dB (A) or above, ear protectors must be worn safety sign. Hearing protection must be worn symbol and text safety label. Wear ear protection, mini safety sign. Warning sudden loud noise symbol safety sign. Warning sudden loud noise symbol and text safety sign. Ear protection area symbol and text safety sign.